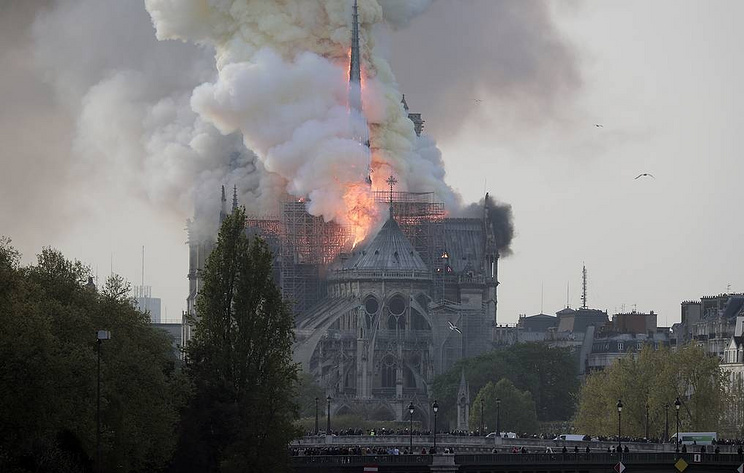 "A terrible fire is on in the Cathedral of Notre Dame de Paris. Firefighters are working at the scene, the mayor’s office works closely with the parish to cope with the fire," Mayor of Paris Ann Hidalgo wrote on Twitter. Hidalgo also called on Parisians not to violate the security perimeter installed around the cathedral. ".